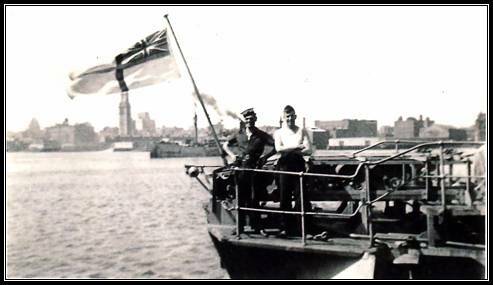 Mr Colin Sweeting from Wales answered the advertisement in the Royal Navy News and was one of the first responses received. He gave me the extra ‘kick-start’ to get the show really rolling. 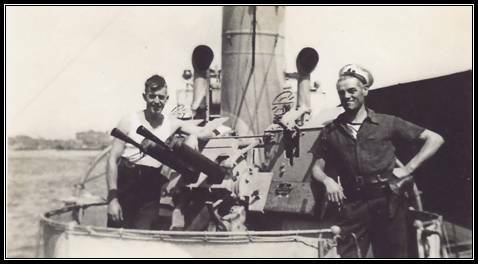 His Dad Walter was in Mess 18 on H.M.S. Birmingham. 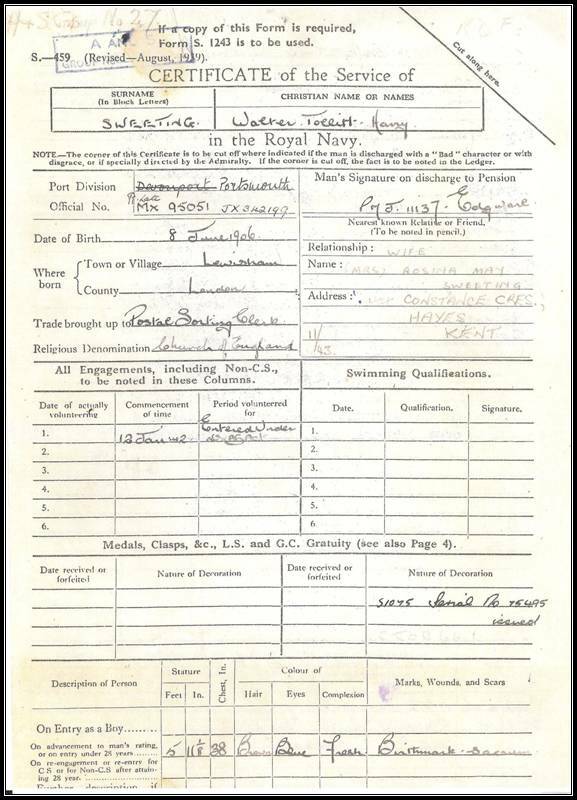 Walter’s Certificate of Service and record follows. 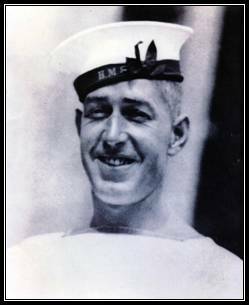 Walter enlisted on 12 January 1942. 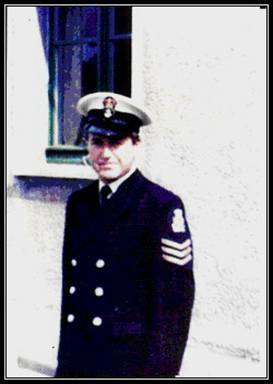 After his early training HMS Royal Arthur and HMS Valkyrie, a stone frigate training establishment near Douglas on the Isle of Man he was posted to the armed trawler HMS Northern Chief. 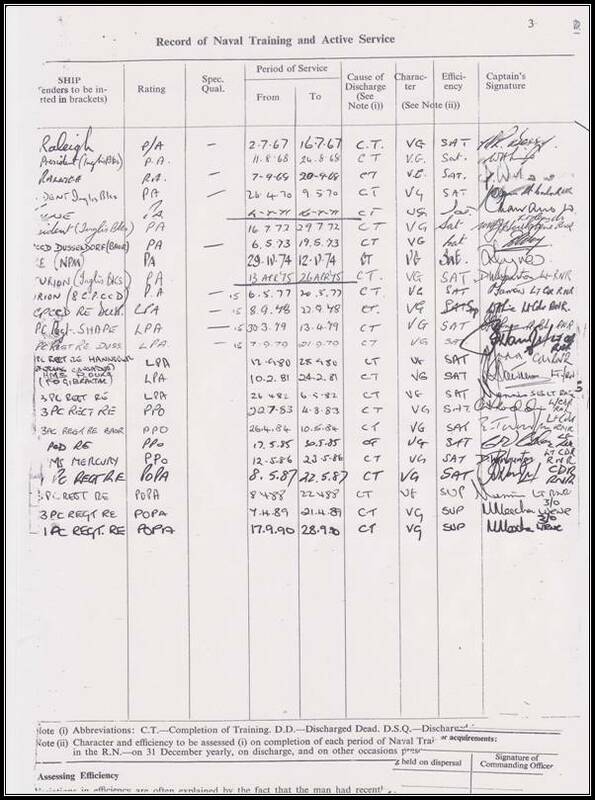 This was an armed boarding and anti-submarine vessel leased from the United States Navy in 1939, returned February 1946. (see photos below). 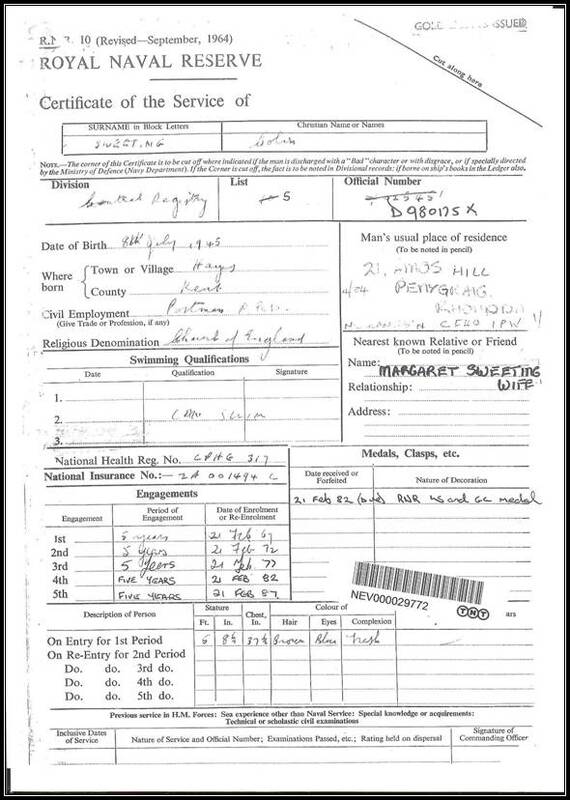 He was then posted to Europa, Victory and Collingwood until April 1945 then Birmingham April to September 1945. He was present at the celebrations in Copenhagen at the time of the German surrender there. 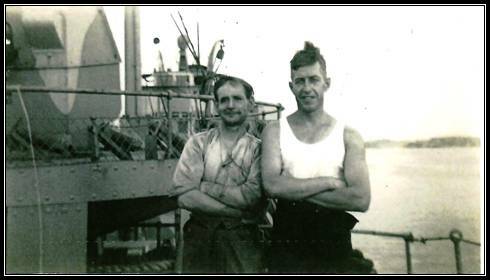 (See Frank Bee, James Herbert Hemsley, HMS Birmingham). He was finally posted back to HMS Collingwood and demobbed 10 December 1945. Colin is the youngest of three children and has his Dad’s medals and ribbons from World War II and a model of the ship (Birmingham) that he purchased through the Navy News. Like his Father (a chip off the old block) Colin joined the Royal Navy. His Division was disbanded in 1991. He served mostly in Germany, N.A.T.O., S.H.A.P.E., U.K. and Gibraltar. They were Postal Courier Division. Their “Basic” in the 1960’s consisted of weapons training, seamanship and (he says) best of all demolition. After 3 years they were posted mainly to different parts of Germany but with postings elsewhere as well.